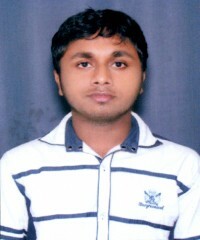 I am Brajendra Maharna, born and brought of Rourkela, India. I have completed my B.Tech from IIIT Bhubaneswar in 2016. I am so much passionate about teaching Mathematics. Teaching from last 3 years. Taughtaround 500 students in 3000 sessions. I follow the best pace of teaching for a better learning process. So let's get started with a better step towards Education. I have received the "State Best" award in "State Talent Search Examination, Odisha" in 2009. I got featured on different websites as a well-known Teacher in India. Got praised by the parents from the different corner of the World.